The point at which air cooled down enough for condensation to occur is called dew point. Air cannot absorb enough vapour anymore, the vapours begin to condense on cold surfaces. When it comes to windows condensation is not only an optical problem, it can quickly develop into a serious health hazard once mold starts growing over time. People who have to deal with a lot of condensation on their windows therefore ask themselves the same question: How can I manipulate the dew point in my rooms and keep my windows dry? 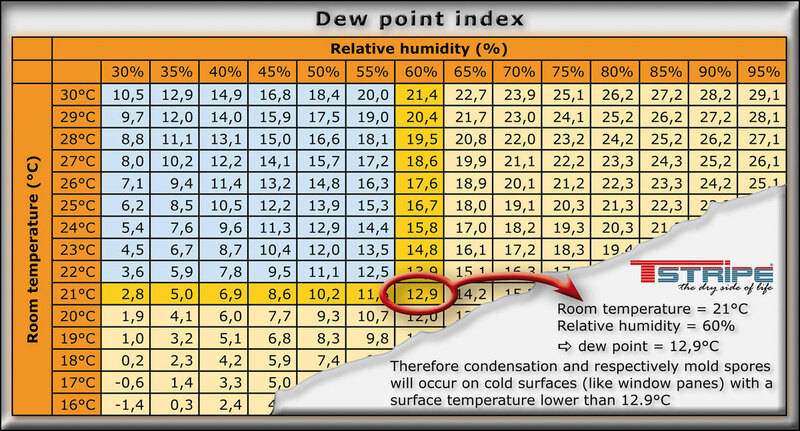 Two factors decide about the dew point; relative humidity and room temperature. The higher a room’s temperature and the lower the humidity, the higher the dew point will be. And the higher the dew point, the lower the chance of condensation. T-STRIPE works based on this physical principle, it heats up the edges of the window pane (where most of the condensation occurs) und raises the temperature beyond the dew point to effectively prevent any condensation from happening. 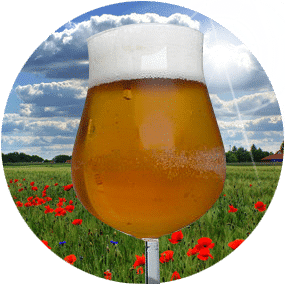 Breathe against a cold glass pane, or take a cold beer out of the fridge, pour it and leave the glass alone for a moment. In both cases you will be able to observe condensation water forming on the glass surfaces. Physically speaking what happened was that the temperature near the surfaces fell below the dew point, which means that the vapor in the air condensed. Using T-STRIPE on your windows completely prevents this phenomenon from occuring!